Mr. DIY made me some wood planter boxes this weekend. They are so pretty even in their unfinished state. this weekend he got out a few of his saws. 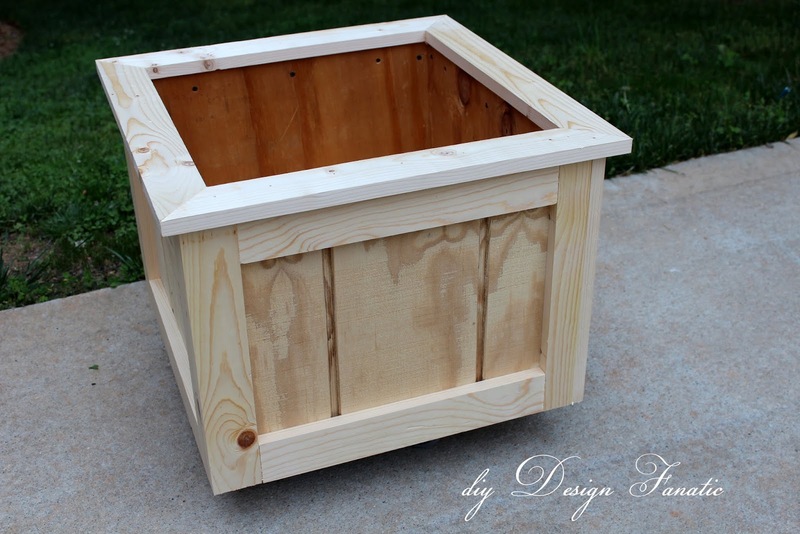 lucky for me because wood planter boxes are pretty expensive when you buy them pre-made. As with all building projects...START WITH A PLAN. It's best to draw out your building project to scale. The first cut was 15" high and he used his circular saw with a metal guide clamped to the wood to make cutting a straight line easier. For each box he cut a piece 15" high x 18 5/8" wide. He centered the groves when he cut the pieces. He nailed the sides together with a finishing nailer. He was able to make 3 boxes with one 4 x 8 sheet of t-111. For the frames on the sides and tops he used 1 x 3's . He used his Kreg Jig to put together the corners of the frames. This is a super, handy tool to have and Mr. F uses it when he's building something out of wood that he doesn't want nails or screws to show. Here's a little tip: he cut off 3/4" off one of the 1 x 3's (lengthwise) so that when they were put together, each side would be 2 1/2". If he hadn't done this, one side would be 2 1/2" and the other would be 3 1/4". The corners were then attached to the box from the inside. Here you can see the corners attached. After the four corners were screwed on to the boxes, the top and bottom side frames were cut and screwed on. Finally, he mitered the top frame and then cut a piece of plywood for the bottom. The finished top is: 22 3/8" x 22 3/8"
See the wheels underneath? It's on a dolly. $67.26 or $21.42 a piece. Disclaimer: The above post is how we made our planters. I don't take any responsibility for any errors or results obtained from using this information. Using power tools can result in injury. When using power tools, use safety equipment. They look great! I look forward to seeing them after you stain them and add plants. 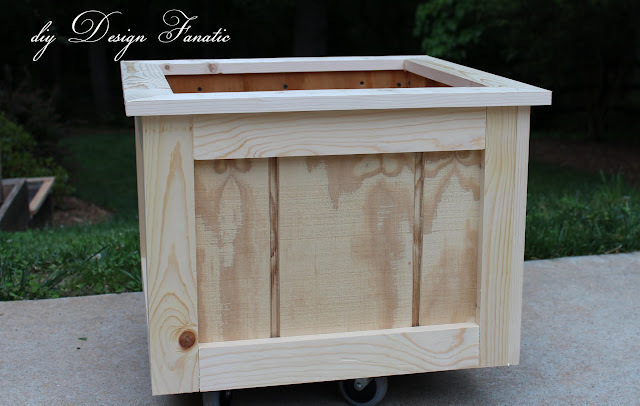 My husband and I like to build things together and planters similar to yours are one thing that we've discussed. I saw your post on M. Monday and recognized your name from Haven. I'll be there, too! Is your husband coming? Wow! Impressive as usual with you two! Love them! SO pretty!! 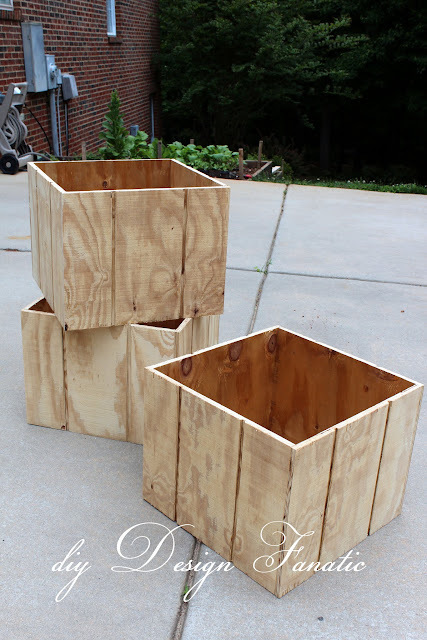 I need some new planters and have been checking out the stores, but these would be fun to customize with paint! Love it! I think you both are smart cookies. You know these are likely better built than those in a store too. Thought this was great - and great step by step instructions! Loved it so I featured it on my weekly DIY blog post today (www.organicallyopulent.com - issue number 8). 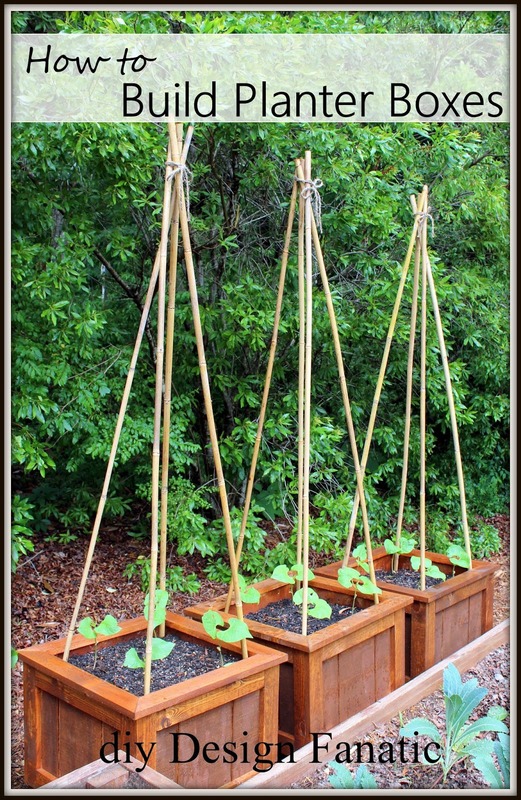 Those are fantastic Pam...so great of your hubby to make those beautiful planters...you definitely saved lots of money!...terrific job!! Can't wait to see what you plant in them! Excellent job! Those look great! I love these! Can't wait to see what you put in them. I love these and I pinned your tutorial so I can try to make them later this summer. Yours turned out great! That Mr. sure is handy dandy for ya! I love these Pam. Super cute - you just saved yourself about $35 to $45 each one! I purchased one for a class gift last week. If I had given myself more time I would have made one, too. Very cool project. Those planter boxes are nice and big, Pam! They are going to look beautiful all planted up. Trees, flowers and other plants enhance the look of any home. his is truly a great read for me. I have bookmarked it and I am looking forward to reading new articles. This is one of my first woodworking projects! So easy to make and really useful around the house, too. I think this might be one of my new projects. My wife is quite the artist and would love to paint them! To be honest, i prefer a more simple finish, but in a marriage you have to make coompromises ;) Thanks for the inspiration! Make 2 for the front porch and paint them for your wife, then make 2 more for the backyard and stain them! Either way, they'll look great!